in one book from a man on a mission. Your wealth won’t grow the way you want, unless you take control. A relentless search for a better way to invest… and a deep desire to share it. 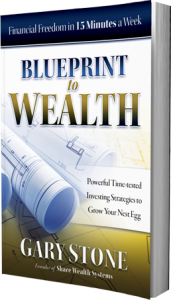 As you read Gary Stone’s indispensable “Blueprint to Wealth”, you’ll come to know a seasoned, street-wise investor who has devoted his professional life to helping others build the best possible retirement nest egg using simple practical strategies for everyday people. 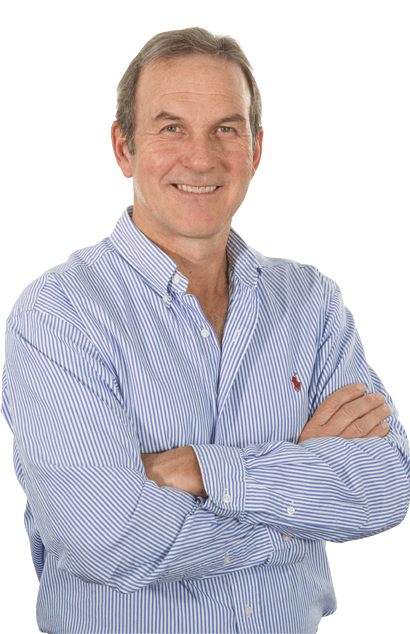 And the reason why he takes the time to do is as simple as the solutions themselves: He’s a big believer in sharing… especially when it comes to building wealth. Get your nest egg outperforming actively managed funds with 15 minutes a week. Gary shows you how. Of the many startling revelations in his book, perhaps the biggest news is that you can ensure your retirement nest egg grows faster than your current 401(k) Plan and managed Super funds, by spending just 15 minutes a week on it. That’s a big call, but completely true… and Gary uses simple evidence to verify this. 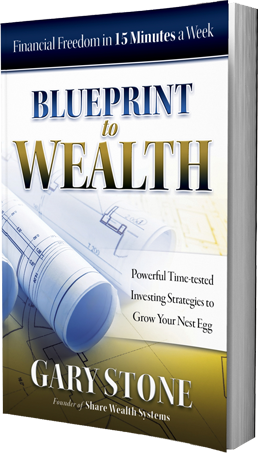 Chapter 16 of “Blueprint to Wealth” details the start of Iain’s investment strategy, now follow the continuing success to see how it’s done. 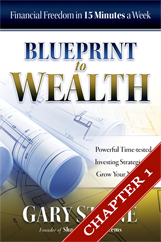 “Blueprint to Wealth” is just the beginning of how Gary’s blueprint can help put you on the path to rapidly becoming a successful stock market investor. Once you’ve read the book, there is a wealth of additional information and support available as you start the journey towards building a bigger nest egg. 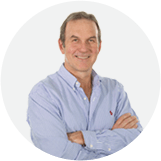 You can follow Iain’s Journey, the ongoing live money nest egg introduced in the book as it continues to grow, or tap into a number of powerful resources for info, support articles, news and trends. In other words, Gary’s got your back.